Google Contacts not ready for prime time | Awaisi, Inc.
Google contacts, as a section of Google’s Gmail, is fraught some bad behavior. 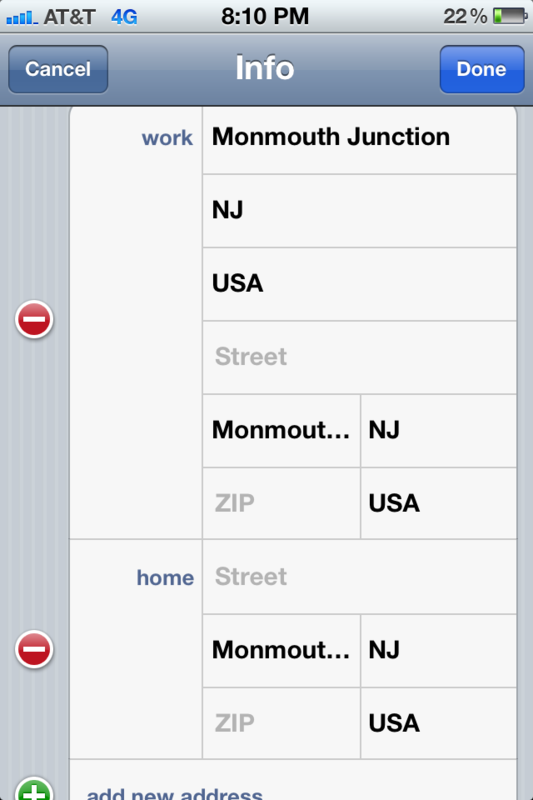 1) Duplication of contact entries during syncing with Blackberries and iPhones, as chronicled here, here, and here. 2) Duplication of addresses within contact entries. The Gmail interface has built-in tags called “My Contacts”, and “Other Contacts”. You, the user, will enter addresses and they will save to “My Contacts”. Gmail, in its algorithmic wisdom, auto-populates “Other Contacts” for you. 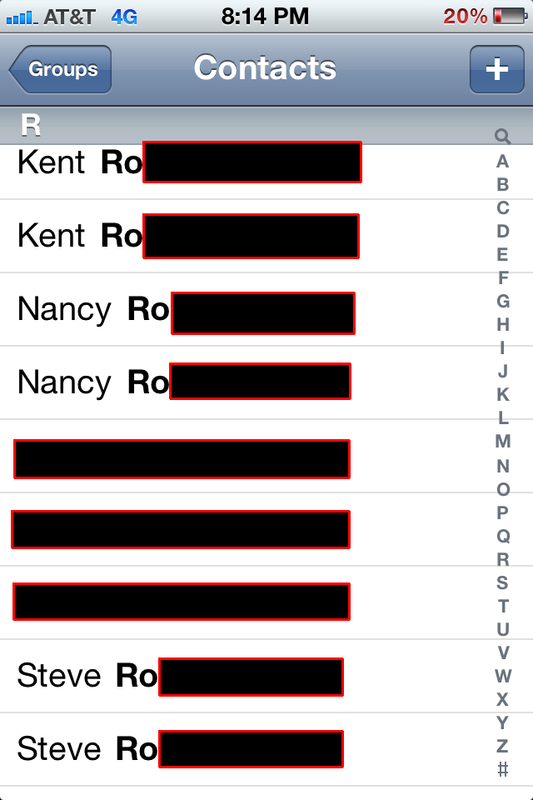 The contacts in this tag show up in your address book alongside your contacts in “My Contacts”, showing up as duplicates. 3) Reversion of changes to address entries. After the Gmail outage of April, 2012, many of my changes to my addressbook were permanently lost. It was as if Gmail contacts went down and Google restored from a 1 month old backup. 4) Modification of address data from original data entry. Note here how the contact now has two incomplete addresses where it originally had one complete address. For those of us who massage and manicure our addressbooks, Gmail’s default behaviors range from annoying to borderline aggravating. But, given the success of Gmail’s email interface, we grin and bear the contact management headaches.